It is no secret that HTC has had a rough couple of years, despite once being one of the great kings of the Android world. While the HTC One M7 and One M8 were both positive steps in the right direction for HTC, the HTC One M9 was arguably a pretty big stumbling point for the company, with many criticizing its design, camera, and more. Last year HTC attempted yet again to turn things around with the HTC 10. It’s true that the phone was better received than its predecessor, but unfortunately it largely failed to make the mark that the company was hoping for. Enter the HTC U family. Arriving significantly earlier than previous HTC flagships, the HTC U family has two different models, the high-end U Ultra and the mid-range HTC U Play. In this post we’ll be focusing on the former. Editor’s note: HTC did not allow us to record any footage of the HTC U Ultra and U Play due to the non-final software. 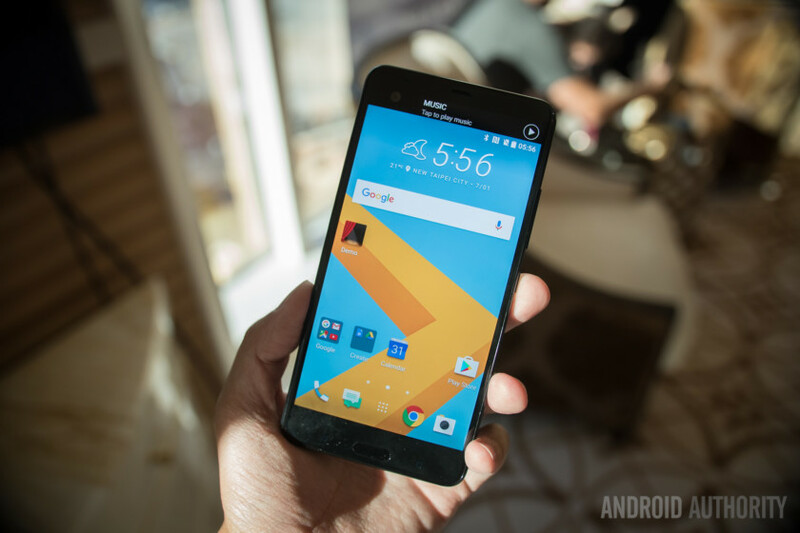 It’s still unclear whether the HTC U Ultra is meant to replace the HTC 10 or is merely a new lineup and a bit of a stopgap until their next flagship, though given its larger overall size, we’d say it probably is meant to compliment HTC’s smaller flagship range. That’s all unconfirmed at the moment though. So what does the HTC U Ultra bring to table? Let’s dive in and find out. While it would have been nice to see the HTC U Ultra launch with the brand new Snapdragon 835, the phone still rocks pretty solid specs including a Qualcomm Snapdragon 821, 4GB RAM, and either 64 or 128GB storage, as well as microSD expansion up to 2TB. However, one of the biggest spec standouts is the display. The HTC U Ultra’s screen is significantly larger than the HTC 10’s 5.2-inch display at 5.7-inches with a resolution of QHD. Even more interesting, HTC has seemingly taken a page from LG’s playbook, introducing a 2-inch secondary display above the main one, with a resolution of 160 x 1040. As you’d imagine, this second display is for notifications, contacts, reminders, and even certain special apps. Under that display is a button configuration that is very familiar to those who used the HTC 10 or the A9. With the HTC U Ultra you once again get a home button that doubles as a fingerprint scanner, which HTC promises is as fast and efficient as ever. And on top you’ll find a front facing 16MP camera that also can be easily switched to “UltraPixel” mode, giving you “unparalleled light sensitivity” or a high resolution, depending on your situation. Moving around back, you’ll find a 12MP UltraPixel 2 camera sensor with laser autofocus, phase detection autofocus, optical image stabilization (OIS), a 1.55µm pixel size, and an f/ 1.8 aperture. At least on paper, this camera sounds very similar to the HTC 10, but considering the 10 had a pretty solid camera, this certainly isn’t a bad thing. Just like the HTC 10, you get a non-removable 3000 mAh battery, though it’s hard to say what this means for battery life, considering the display is a great deal larger than the 10. Of course you still get Qualcomm’s Quick Charge 3.0 so you can charge your phone back up in a hurry, even if you do end up running it down. Overall, there’s a lot to like about the spec sheet, but we have to point out one area that isn’t so positive: the headphone jack is gone. As we saw with Apple last year, HTC has removed the headphone jack to save on a little internal space. Whether this is a deal breaker or not probably depends on your own personal tastes and needs. After years of offering a metallic design, HTC is finally making a massive switch with the HTC U Ultra. This time around, HTC opts for a 3D contoured glass design that we can’t help but feel is quite familiar to what we’ve seen from companies like Samsung and even Honor. Of course the overall look still has some traditional HTC flair, but in a package that certainly is quite a bit different than year’s past. Whether this is an upgrade or downgrade in design is largely a subjective matter, of course. Without a headphone jack, HTC leaves out one area it is known for, though we imagine that its wireless sound support is also top notch, and you can, of course, except some kind of USB-C audio adapter for those that want to use existing wired headphones with the U Ultra. On the software front the HTC U Ultra runs Android 7.0 Nougat with Sense technology. While we can’t speak much on all the features found in the latest version of Sense just yet, HTC is highlighting some new AI/Assistant features. The brand new Sense Companion is a personal companion that always is learning from your habits and can remind you of all sorts of things like if you need to give your phone a little extra charge to make it through the day depending on your schedule, recommending restaurants, warning you to leave for work early based on weather and road conditions, and more. HTC says that this technology is made to evolve the more you use it, and the company will also likely continue updating and upgrading its function set in the months (and years) to come. In addition, the HTC U Ultra features advanced voice recognition, responding even if your phone is asleep, letting your rject calls, take calls, dismiss alarms and more — all from your voice. The HTC U Ultra is now available for pre-order at htc.com in Sapphire Blue, Ice White and Brilliant Black color options starting at $749 unlocked. A Cosmetic Pink option will also be available in some regions, but it’s not available in the U.S. at the moment. With an all new design and plenty of special features, the HTC U Ultra certainly stands apart from its past brothers, but is this enough to make it a success? Let us know what you think down in the comments below.